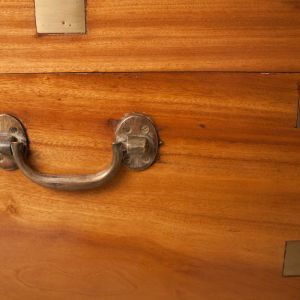 An uncommonly large, late 19th century English brass bound camphor wood captain's trunk with brass carry handles, side straps and corners. 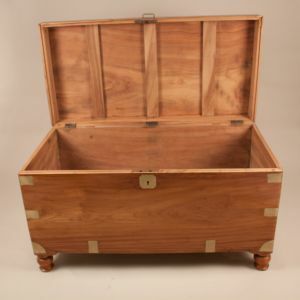 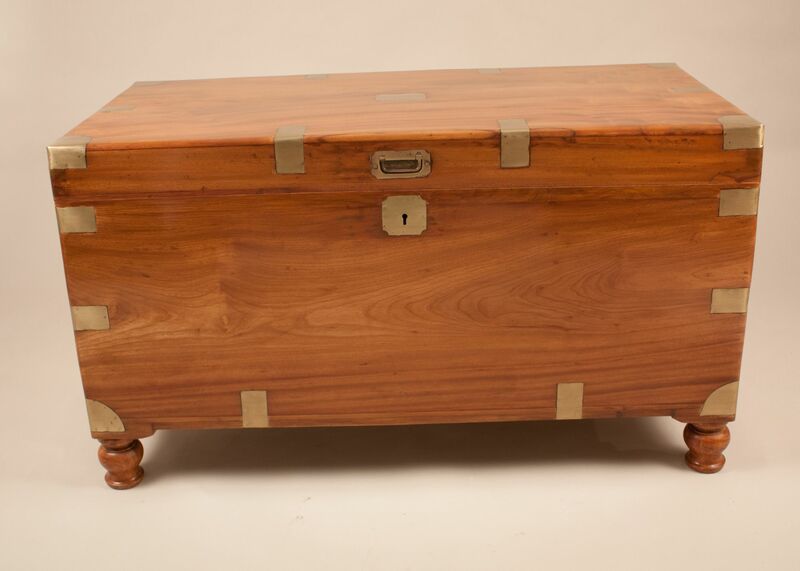 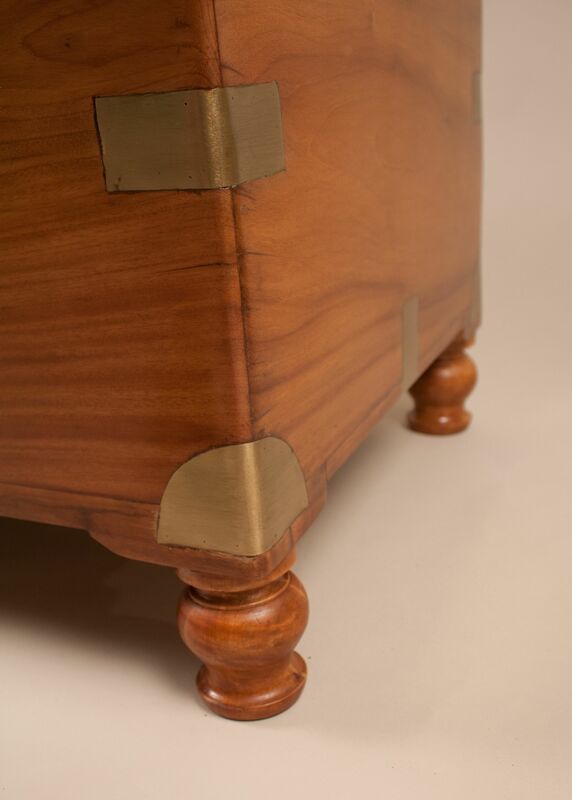 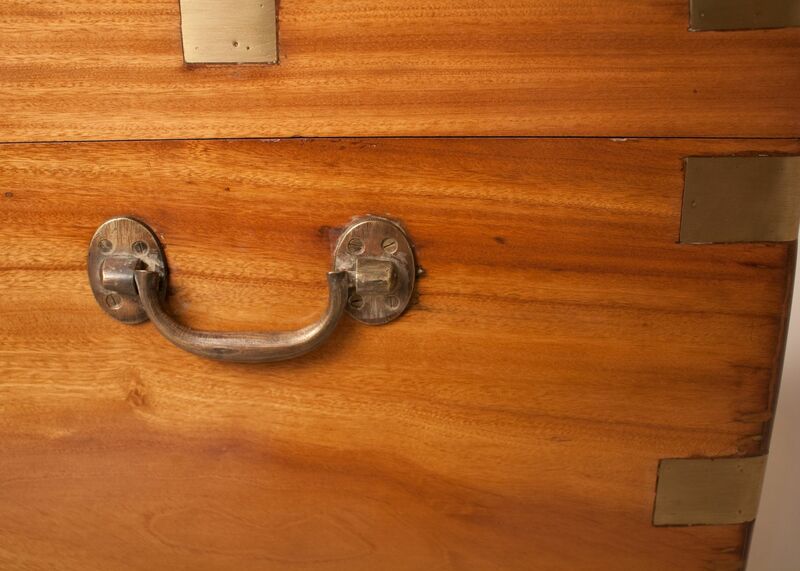 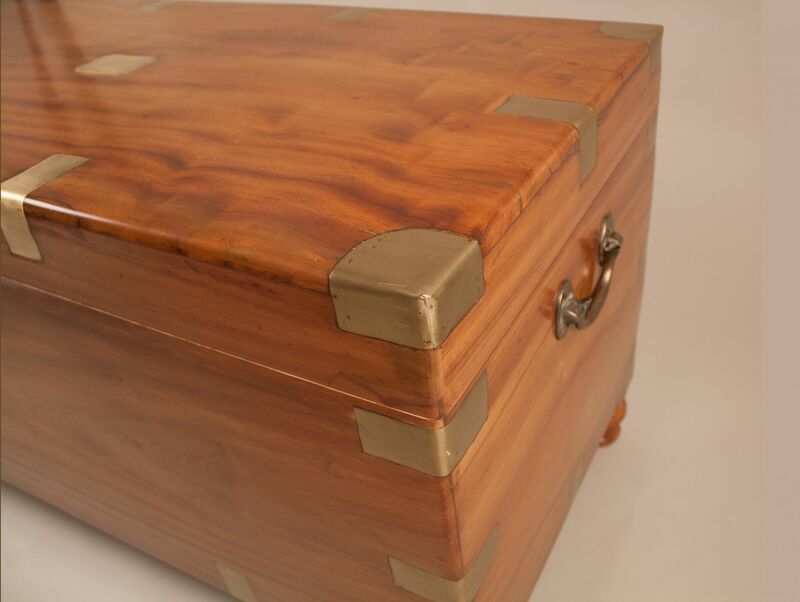 This handsome sea chest also features a hinged lid supported by wooden stops when open. 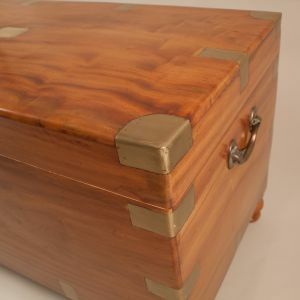 The trunk has been attentively restored and has an old working lock and key. 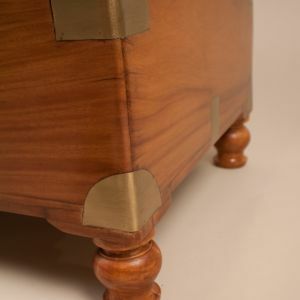 It sits on well-proportioned turned legs which can be removed, if desired.